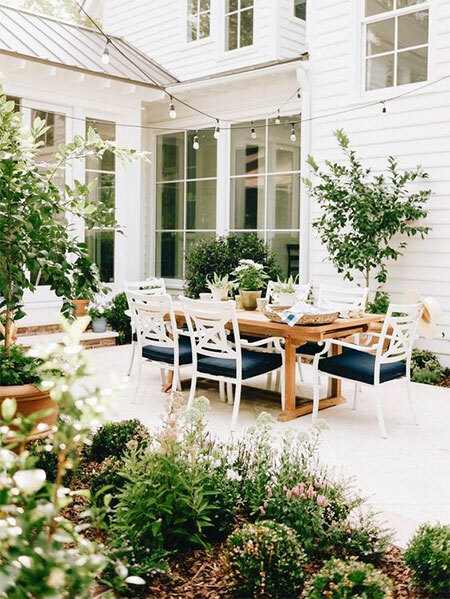 While summer may have passed us this year, it won't be long before the season's change and you start getting your outdoors ready for warmer weather. 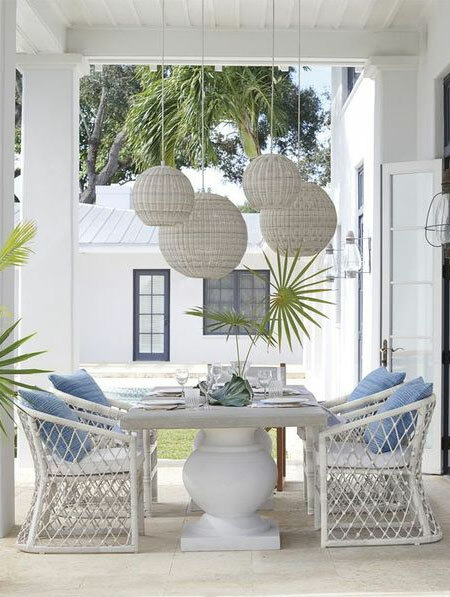 Now is the best time to shop around for the best garden furniture for your outdoor spaces, when there is no rush to find something suitable and you can shop at your leisure to find garden furniture that is comfortable, practical and durable. An outdoor area - small or large - adds to your lifestyle and can also increase your living space if planned for correctly. A comfortable outdoor area promises comfort and relaxation, as well as the enjoyment of entertaining family and friends. 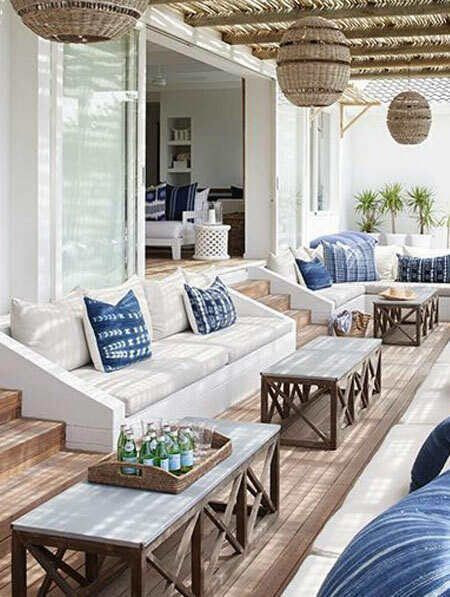 Buying outdoor furniture should involve the same steps as when you buy furniture for inside your home, and here are a few pointers to keep in mind. Okay, we know that there isn't actually a piece of furniture that is 100% weather-proof but that doesn't mean that you should not select that right type of furniture for your location. For example, anyone living at the coast should definitely not look at wrought iron or steel furniture. Coastal weather is known for being a tad salty, and we all know that salt and steel definitely don't go together. We also know that coastal weather can get really windy, so furniture needs to have some weight to prevent it from blowing in the wind. If your outdoor space is exposed to the elements and does not have a roof covering, take this into consideration. Wood furniture will require regular, ongoing maintenance to keep it in tip-top condition and steel furniture will need to be inspected on a regular basis for signs of rust. It is always a good idea to shop for furniture covers that will protect the furniture when not in use. 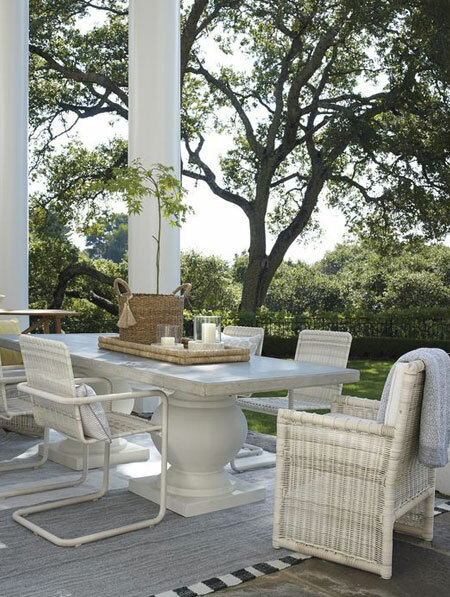 Outdoor furniture covers will not provide enough protection for some materials, such as wicker, and you should have an option for storing this when not in use. Alternatively, buy practical furniture that you will be able to use indoors during the winter months. Your budget will ultimately determine what you can afford but try to build up a tidy sum that lets you buy the best quality furniture at the most affordable price. By giving yourself plenty of time to shop around, you won't be rushed into making a decision and can select furniture that is ideal for your region, that is comfortable and offers a practical design that will ensure longevity. Don't forget to keep in mind that you can also do some online shopping to see if you can pick up any secondhand bargains. As the elections loom on the horizon, many people are opting to pack up and emigrate and that means you can usually pick up quality furniture at reasonable prices. You may be lucky enough to find the perfect piece of furniture that only needs a few cosmetic changes to fit into your outdoor area. 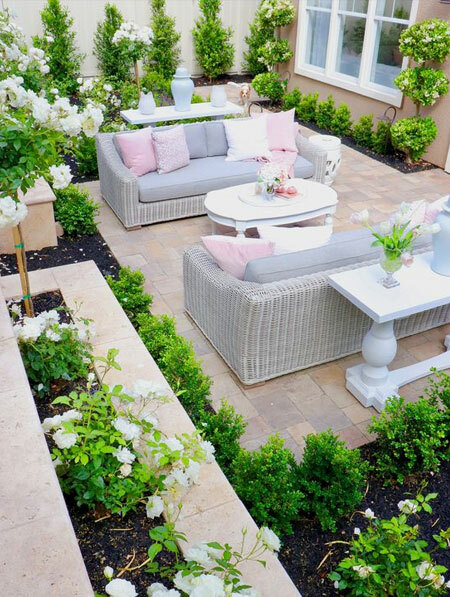 Before buying patio or outdoor furniture, take into consideration how much space you have. It is essential to determine the area and shape of the areas if you want your new furniture to fit perfectly. You also need to have space to move around the furniture. 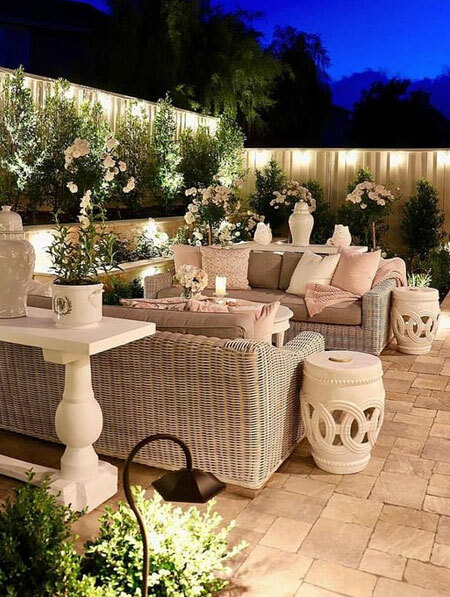 Be sensible when buying outdoor furniture, as you don't want to overload with too much furniture. When buying outdoor furniture also consider how much care and maintenance is required to keep it looking good. As discussed above, climate plays a big role in determining the right type of material for your outdoor furniture, and you obviously don't want a material that won't stand up to your weather conditions. Some furniture requires a lot of care and maintenance, and if you're not up to this it is important to look at alternatives. Synthetic materials are designed for minimum care and durability, as are aluminium, certain hardwoods and resin. Wrought iron can last for a really long time under most conditions, excluding coastal areas. You want to be able to make the most use of your outdoor furniture, whether you want to use it to increase your living space or to entertain. Comfort is important if you want to relax and enjoy your time spent outdoors. If your furniture doesn't come with cushions, you can buy or make your own cushions in colourful or patterned fabric and pad them up for comfort. Outdoor furniture should be upholstered in a good quality outdoor fabric. 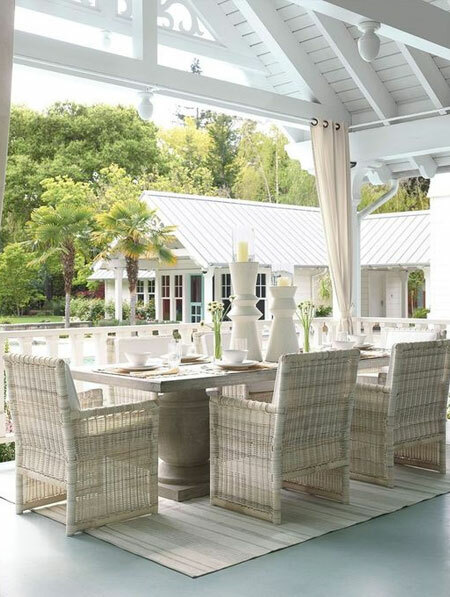 These fabrics are designed to withstand constant sunlight so that they won't quickly fade and are mildew resistant. Take cushions indoors when not in use to extend their life.